This program provides you with the essential factors to market your training name, and help you gradually to plan for expansion in the general programs and to know how to enter the companies’ world to practice training; and all of this through the proven steps in planning, implementation and entering the social communications networks and the Internet, in addition to know how to enter the training relations’ networks. For new trainers and expert trainers who want to spread their training names as a brand. The importance of planning and its steps. The important tips to enter the public training market. The tools of entering the companies’ training market. 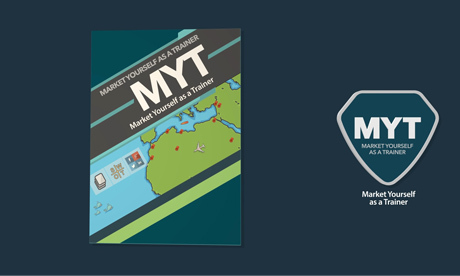 Marketing the training and the promotional mix. SOWT and the market analysis. The three essential factors for the trainer’s success. How to build your brand. Creating your vision and mission as a trainer. Determining the field in which you will train. Determining the training course or courses that you will deliver. Determining the geographical zone in which you want to spread. How to enter the companies’ training world. How to promote yourself before, during and after the course. Establishing the marketing plan for the three coming years. Establishing a policy for the relationship with trainees. Building your credibility as a trainer (before, during and after the course). The exclusive training contracts: their types, features and disadvantages. Dealing with the training companies. The benefits of free or associative training, and its disadvantages. How to take advantage of social communication networks in marketing. How to create and document a training history that befits you. How to contribute to increasing the knowledge content of the training industry from the articles and videos on the Internet. The certifications and certificates, including their pros and cons. Conducting the monthly and weekly evaluation. Modifying the plan based on the evaluation results. Reviewing the continuous development planning so that you stay in the market. How to build yourself weekly.